Niantic and The Pokemon Company have pushed out a new update for Pokemon GO today. New features added to Pokemon GO include compatibility with Poke Ball Plus, and the ability to transfer Pokemon from Pokemon GO to Pokemon Let’s GO Pikachu/Eevee on Nintendo Switch. 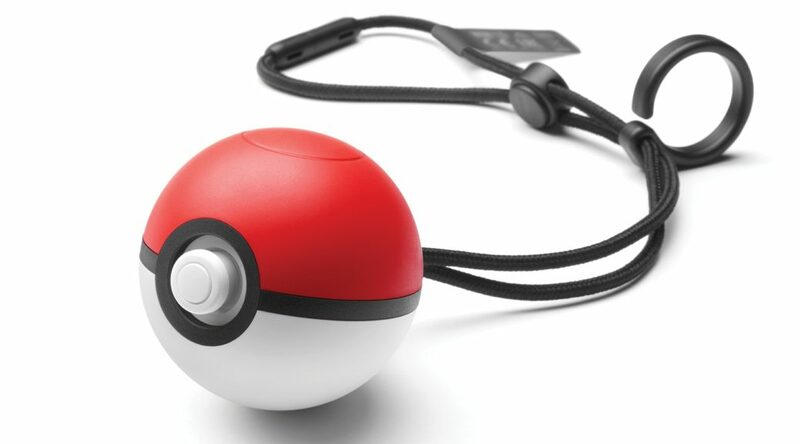 Poké Ball Plus connects to your smartphone and provides an easy way to search for and catch Pokémon with the press of a button. Once your Poké Ball Plus is paired to your smartphone, you’re ready to play. You’ll be able to collect items and catch Pokémon! When a Pokémon appears nearby, the Poké Ball Plus will light up and vibrate. Press a button to throw a Poké Ball, and different LED light patterns will let you know if you’ve caught the Pokémon. As long as your Poké Ball Plus is connected to your smartphone and the Pokémon GO app, it will also count your steps, so you can hatch Eggs and get Candy with your Buddy Pokémon. When you get near a PokéStop, press the button on your Poké Ball Plus to spin the Photo Disc at a PokéStop and acquire items. Q. Are Lucky Eggs effective while using Poké Ball Plus in Pokémon GO? Q. Will my Poké Ball Plus react to Pokémon that appear due to a Lure Module in Pokémon GO? Q. Can I get a Gym Badge using Poké Ball Plus? A. Yes, you can obtain a Gym Badge when you get items from spinning a Gym’s Photo Disc if you haven’t received it already. Q. Can I get a Raid Pass from a Gym Photo Disc using Poké Ball Plus? A. Yes, you can get a Raid Pass when you obtain items from the Gym if you haven’t already obtained a Raid Pass for the day. Q. What happens when your Pokémon storage is full? A. Poké Ball Plus will react, but you won’t be able to catch Pokémon. Q. What happens when your Bag is full? A. At a PokéStop, pressing the button will not spin the Photo Disc. You’ll need to use or discard items or upgrade your Bag to make space so you can obtain items and XP. Q. Is there Raid Battle functionality with Poké Ball Plus?